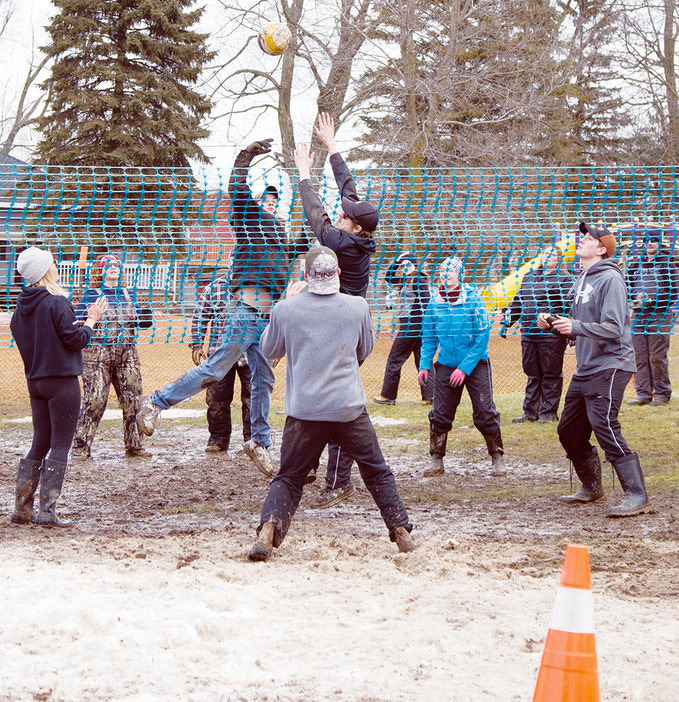 The Blyth Lions Club’s annual co-ed snow volleyball tournament is entering its 10th year with this year’s event set for Saturday, Feb. 23 at Blyth Lions Park. The annual six-on-six tournament has, in recent years, been dedicated in memory of Blake Hesselwood and John Bokhout, two young Blyth natives who perished in an Alberta house fire several years ago. Teams will face off against each other in a best-of-three game format with a maximum of five serves before players rotate. Games go to 15 points and the winning team must claim victory by two points. There is a minimum of two female members per team. The cost to register is $10 per member. Sign-up for the tournament begins at 10:30 a.m., with games to begin after 11 a.m. There will be a heated beverage tent and a hot lunch served by Lions Club members. Those wanting to participate in the tournament can call organizer Mark Nesbit at 519-531-0399 for more information.